Traveling with kids to St Lucia, especially if it’s for the first time, can be a daunting experience. Pulling off an amazing family vacation does require planning and a lot of patience but it’s so worth it to create lasting memories that you and your whole family will remember for a lifetime. If you’re a seasoned vacationer you will probably have already learned a few lessons along the way but we’ve put together a few tips that can help you become the master of traveling with children. Before you even leave for the airport make sure you have checked all your important documents and ensure they are valid and any visas you need are in place. It’s a good idea to scan important documents such as passports and birth certificates in case they do get lost. This will save you a lot of hassle and time when trying to replace them abroad. When you’re packing a suitcase for your children it can be easy to overpack. Try to keep things as simple as possible to stop any unneeded stress by making a list of the essentials. Traveling with kids to St Lucia can become stressful when you over pack. Keep it light with things like clothes, toiletries and any comforters you want to take with you. A great tip for packing is to pack the kids clothes in ziplock bags for each day of your vacation, making it really easy to see what they will actually need and super simple for when you eventually arrive at your destination as well. The airport and flight/s can be the most stressful part of the trip so make sure you are prepared. Pack a plane bag for when you board the flight to keep your children entertained with coloring packs, lego sets, and books. And don’t let them know what’s inside until you are up in the air so they have something to look forward to on the flight. Use the time waiting for your plane to walk around and play games that you won’t be able to do once you have boarded, it helps to burn any energy off before the flight. If all else fails, bring a tablet or Ipad and forget about those good intentions of limited screen time (you can keep those when you arrive) but whilst waiting, keep your sanity and bring out the big guns. Traveling with Kids to St Lucia is now stress-free with these amazing tips. Once you arrive and have all checked into the hotel, the first thing I would always do is check the safety of the room you’re staying in. Make sure that windows and doors are locked and that if you have a balcony check there aren’t any huge gaps where a child could fall through. Check the hot taps as well as they can often be scorching so that you can warn your children before they use them. Try to plan out your days with activities for the kids. Whether that’s a day out to the beach, local theme park or even just the hotel entertainment it’s good to have an idea of how the day is going to pan out to keep kids minds focused and busy. So make sure to do your research on the area before arriving and book a few activities in advance if you can. Finally, the best tip you can get is to enjoy yourself and create unforgettable memories with your family. Take a couple of keepsakes to bring back home so you can always reflect on the amazing time you had together. 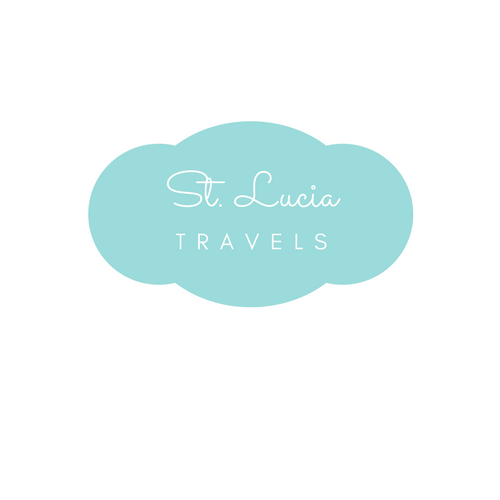 If you like this post, do not forget to Pin it here your St Lucia Travel Board. Awesome tips thank you so much! I’ll be traveling with my little one soon and will put these to good use! !